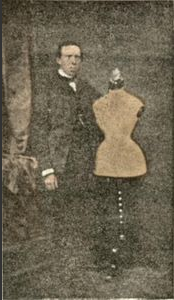 The Stockman’s dressmaker’s form has been created in 1867 by Frédéric Stockman, a young sculptor, disciple of Lavigne who invented the tailor’s dummies made from papier mâché. 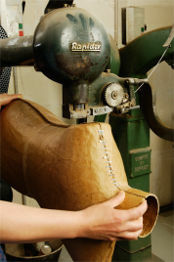 Stockman decided to open his own company, a very small one at first, with the idea of providing dressmakers with forms in different standardized sizes. The company grew up step by step and settled 150 rue Legendre in the 17th arrondissement of Paris. 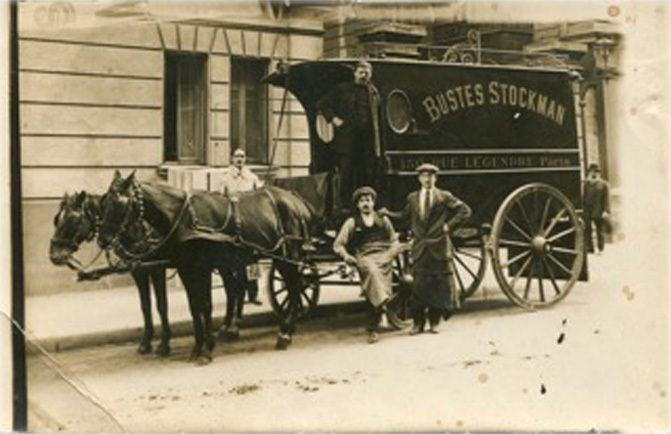 In 1900, Stockman was selling almost 30,000 busts a year. Few years before he met Mr Siegel, whose specialty was mannequins and metal accessories hangers. So the company became ‘Siegel & Stockman’ and settled in a big factory in Saint-Ouen, near Paris. The Siegel brand had became really famous during the Art Deco decades. The 20’s and the 30’s had been prosperous years for the company and Siegel provided the majority of the stores of Paris. At the same time, Stockman provided dawning Couture houses with dressmaker’s forms such as Christian Dior and the famous ‘New Look’ dummy in 1947. Then the company went through the decades with joy and tragedies, such as two factory fires. By the turn of the 80’s, Siegel & Stockman settled in Gennevilliers, near Paris. The showroom settled 163 rue du faubourg Saint-Honoré in the 8th arrondissement, one of the most prestigious district of the French capital. Siegel & Stockman is still at the same place and twenty craftsmen and craftswomen are instrumental in maintaining and perpetuating its skill. Siegel & Stockman will celebrate its 150th anniversary in 2017 !